Halloween is here, and I trust you are busy getting your costume together, carving pumpkins, and decorating your home or apartment. Unless you plan on spending the night waiting for the Great Pumpkin to arrive, Halloween is the one night of the year you will see or accompany cute (and scary) little ghouls, goblins and superheros as they roam freely in your neighborhood. Adults should always accompany children, trick-or-treat in groups or have children be accompanied by a trusted adult. And don't forget about the four-legged members of the family. Pets can be confused and spooked by strange sounds and sights, and unfamiliar people in costumes, so keep pets indoors and away from the front door. As always, make sure your pets also have up-to-date identification. 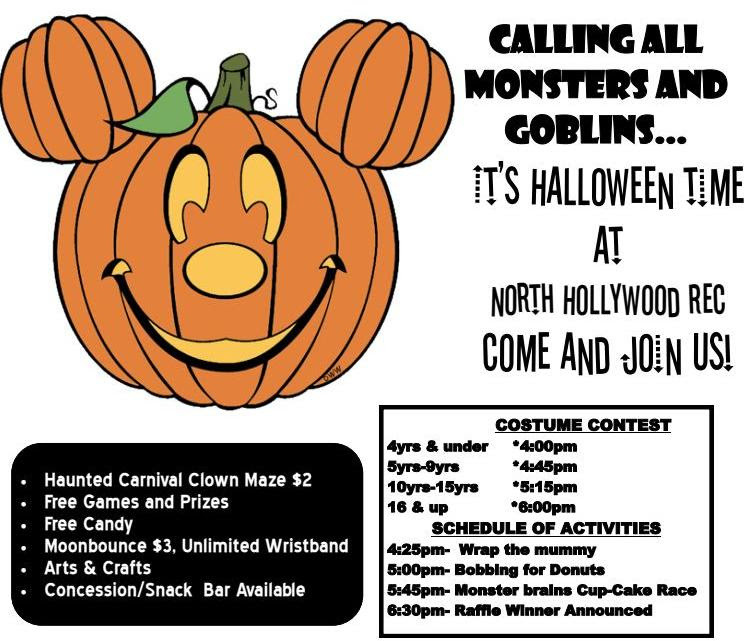 Face painting, carnival games, moon bounce, food shack, costume parade and more. 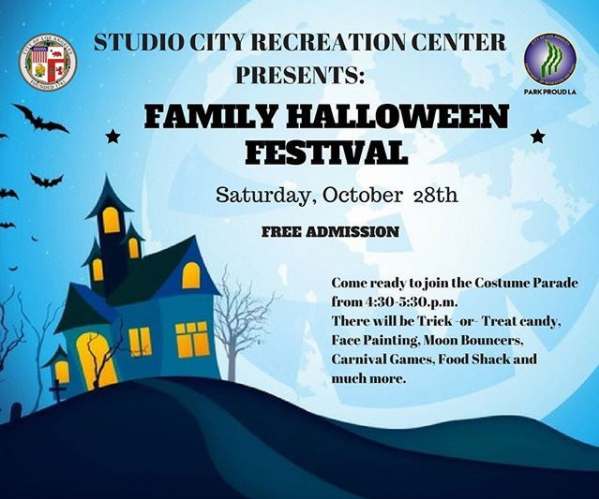 Free admission and kids receive a free candy bag. All activities range from $1 to $5. painting, arts and crafts, and lots of fun! Haunted Clown Maze $2/ Moon Bounce $3. Food, games, contests, arts and crafts, and free giveaways for all ages! Free carnival games, face painting, arts and crafts, costume contest, moon bounce, candy giveaway and more.